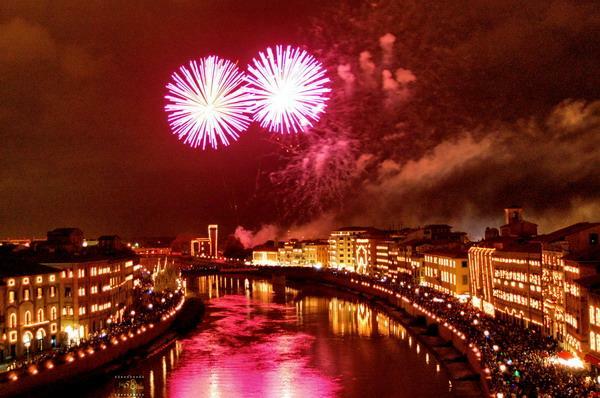 If you are in Tuscany on June 16th 2013, do not miss the "Luminara si San Ranieri" which has been held in Pisa since 1688, without interruption. San Ranieri is the patron Saint of Pisa and, as ordered by Cosme II of Medici, every year, a festival of lights, which includes thousands of candles and fireworks is held. It is spectacular, and not to be missed. I will be there. Enjoy! I wondered why airfares hiked up around that date! The evening is rather spectacular and well worth a visit. Be warned though that the fireworks are set off at late o'clock. The first year we went didn't realise that there were fireworks at the end of the evening, left and heard them just as we walked home - at that time we lived on the outskirts of Pisa. The next year we waited (and waited!!) and were glad we had. We had a few years break and last year went to have another look see but gave up waiting for the fireworks at 11.30pm - was too hot and tired. This year we will arrive later and hope that as it is a Sunday they will be set off earlier!!!! Thanks for the warning. In any case, fireworks in Southern Europe are usually held quite late at night. Never before 11:00 pm. 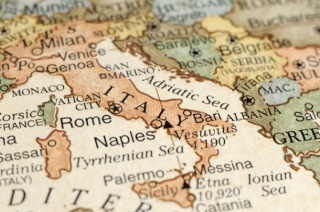 » Is La Spezia invisible?